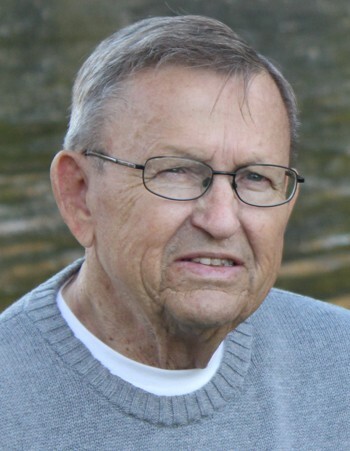 Jacob LeRoy “Jack” Dockter, age 80 of Cannon Falls, died at home on Friday morning, September 7, 2018. Jack was born on September 29, 1937 in Fredonia, North Dakota, the son of Jacob and Othelia (Ost) Dockter. He attended Northfield schools until the 11th grade, when he went to serve with the US Navy from 1955 until his honorable discharge in 1958. Jack married Sharon Holm, daughter of Virgil and Rosella Holm on April 9, 1960 at St. Ansgar’s Lutheran Church in Cannon Falls, where he continued to be an active member. He helped with Junior League and was an usher for many years. Upon returning from his military service, he worked at Chandler Roofing and the Standard Oil Station. He then worked at Contel Telephone Company for 30 years. After retiring, he kept busy and worked part-time at A & B Packaging, Syngenta, Hardees as the biscuit maker, Gemini, Kid Duds, and Northern Hardwood. Jack was a member of the VFW Nelson Scofield Post #4452. 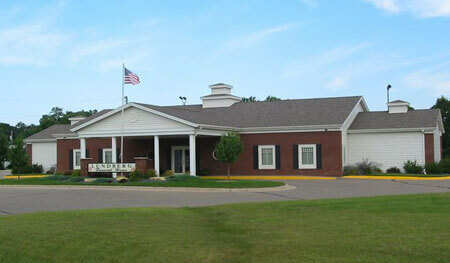 He enjoyed spending time with his family, fishing trips at Star Lake, and hunting ducks and pheasants. He also loved playing cribbage and enjoyed his trips to Reno for “the big cribbage tournaments”. Jack will be remembered by his family and many friends as master cribbage player, jokester, for his sense of humor and his one liners. He was preceded in death by his parents; parents- in-law; infant son, Jamie and son, Scott; infant sister, Marlene; brother, Donald; sister-in-law, Marlene Erickson; and brother-in-law, Jack Holt. He is survived by his wife of 58 years, Sharon; daughter, Christine (Tony) Busiahn of Cannon Falls; son, Jeffrey (Valerie) of Cannon Falls; grandchildren, Samantha, Alison, and Michelle Dockter, Abby Dougherty (Justin Regenscheid), Leah (DJ) Buck, Patrick Dougherty, Zachary Dockter, Richie and Madison Busiahn; one great-grandchild due in January, 2019; sisters and brothers, Phyllis (Chuck) Long of Phoenix, AZ, Jerry (Gail) of Cannon Falls, Pamela (Greg) Moeller of Roseville, Patricia (Ron) Magnuson of Shoreview, and Douglas of Circle Pines; his sisters-in-law and brothers-in-law, Eleanor Holt of Cannon Falls, Jerry Erickson of Cannon Falls, and Janet (Larry) Provost of Lakeville; and many nieces and nephews. Visitation will be held on Tuesday, September 11, 2018 from 4:00pm-7:00pm at Lundberg Funeral Home in Cannon Falls. A memorial service will be on Wednesday September 12, 2018 at 11am, with visitation from 10-11am, at St. Ansgar’s Lutheran Church, Cannon Falls. Interment with military honors will follow at the Cannon Falls Cemetery. Active urn bearer will be his son, Jeff. Honorary urn bearers will be his grandchildren and many friends. Memorials are preferred in Jack’s memory to the American Diabetes Association, Kidney Foundation, or to donor’s choice.